In the last few years fast loans that are also known as payday loans have become a very quick and convenient way to borrow money for many different needs. These loans give consumers the option to borrow money online and that means you can get your money in your bank account from anywhere in the world and you don’t have to go and wait in a line at the bank or in a private lenders office. What exactly is a fast loan? Quick loans are a short term borrowing option where private lenders (not banks) offer their customers the chance to borrow money with a short term repayment option without any need for collateral or a guarantor. These fast loans are also called online loans because the wast majority of them are approved over the internet and you can basically get you money anywhere in the world and you just need an internet connection and a bank account. These short term loans have become hugely popular and they are usually used to replace consumer credit as well as credit cards. Lending money trough the internet started in the middle of the last decade and the first payday lenders appeared around 2005 to 2006 but depending on the market needs and peoples interest these loans are more widely accepted in some countries but just starting to show up in others. Because these fast lenders usually charge larger interest their profit margin is also a lot bigger and that poses a big challenge and competition to Banks that for decades were the only institutions where people borrowed money. And because of this increased competition there is more tension between lenders and usually in strong competition the winners are consumers because all those institutions that supply these financial services will have to lower their costs to compete with all the other institutions and businesses. The exact amounts that you can borrow will change from one lender to other and because every business sets their own interest rates and other policies you have to compare all the lenders to find the most suitable deal for your needs. But in general you can borrow from 50 Lari to 1500 Lari with some exceptions where lenders allow to borrow up to 5000 Lari. Usually only the smaller loans that do not exceed 500 or 1000 Lari are considered fast loans because you can get them without any additional credit or background check but if you want to borrow more money then usually the lender will want to know more about your job, income and about other loans that you have. And based on all that information these companies will determine if you are a suitable candidate and will be able to repay your loans. These fast loans are considered a short term lending option and usually the repayment term is from 5 to 30 days and that means you will have to repay your online loan with a single payment. Of course there are some lenders that allow you to borrow money on longer terms and also repay with multiple payments but those are usually considered long term loans. But for short term loans there is also an option to extend your repayment term but that is a paid service and you will have to pay a fixed amount for extending the repayment period from 7 to 14 and even 30 days. When you borrow money from these private lenders you have to be careful with the interest payments because unlike the regular bank loans these private lenders usually charge much higher interest rates. Usually the interest rate payments are calculated on annual basis and if you have an annual percentage rate (APR) of 20% that means you will have to pay 20 Lari as interest from borrowing 100 Lari. Quick loans can have an annual interest payment of more than 100% but because the repayment therm usually is much shorter then the real interest rates are much lower. For example, if I borrow 100 Lari for one month with an annual percentage rate of 100% I will have to pay less than 10 Lari in interest because that 100% rate is divided by 12. Then there is also a penalty interest rate that is calculated if you don’t repay your loan in time. This penalty percentage rate can be as high as 1% every day and usually it is compounding – that means the interest will be charged on all the owed amount even the previously accumulated interest. Where to use these fast loans? Car repairs – One of the most widely used category is car repairs as these are usually not cheap and because we have become so dependent on out motorized vehicles we can’t afford to wait for out next income and only then do the repairs. Medical expenses – Our health is maybe the most important thing we need to keep in check and that is why these fast loans are widely used to pay for medical emergencies and procedures. Medicine and doctors are not cheap and if you have no medical or life insurance then the only option is to borrow money! Day to Day expenses – If you need to pay your utilities or buy any essential products but don’t have any money on hand then these quick loans can be very helpful and you will not have to suffer just because you have run out of money. Credit repayment – If you need to make your mortgage or auto loan payments but your income has not yet arrived you can pay them with these small loans and as soon as the money comes into your bank account you can quickly repay that small loan. Fun – And sometimes You just have to rewind after a hard work week and need a little fun with your friends or loved ones but you don’t have the money. These fast loans can help you but when using a loans for entertainment be sure that you will be able to repay them! Age – You have to be between ages 20 to 75 to be able to apply for an online loan. This age requirement is set so teenagers and young adults won’t be able to get these loans as well as pensioners, that will not be able to repay, won’t even try to apply. 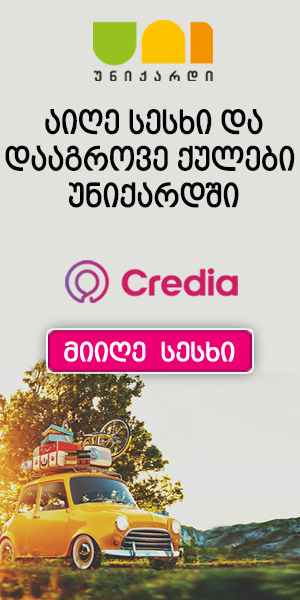 You have to be a resident of Georgia – You have to be a resident of the country where you are applying to get a loan otherwise the application will be immediately denied. 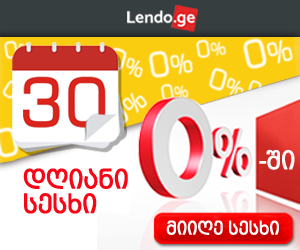 You need a bank account in Georgia – You will need to have a registered bank account in one of the official Georgian banks so that your lender will be able to send you the money as fast as possible. You need a mobile phone number – You will also need an active mobile phone number so that you can activate your lenders back office account and receive your requested loan. You need a good credit history – You need to have a good credit history and that means your name and social security number should not be found in the bad creditor databases. Usually you will be able to apply for a fast loan 24/7 but those loans are usually issued only between 8:00 and 22:00. Of course each company has their own policy and each company works different business hours each day. If you apply for a loan when that particular company is not working then usually your application will be examined in the first few minutes when the company will start their next business day. Because emergency loans are required not only from Monday to Friday but all week long, these fast lenders usually work every day and that also includes holidays and weekends. But to be completely sure about the time when you will get your loan the best way is to check each companies business hours before applying for that loan. What happens if I do not repay my loan? If for some reason you are not able to repay your loans in the timeframe that you agreed upon with the lender then you have the option to extend the repayment term but if you don’t extend your term you will have to pay a penalty interest rate. These penalty rates are usually very high and can be as high as 1% every day but if you ignore them and can’t pay your debt then your lender can invite a debt collector to get back their money. And in an extreme cases the money can be recovered with the help of the judicial system. Of course the best course of action is the one where you repay your debt but it is good to know what happens if you don’t! How to apply for an emergency loan? The application process is very straight forward and the hardest part is to choose the right lender that satisfies all your needs. The best way to choose the right lender is to use a comparison website like this one and compare all the available deals and choose the best one. After you have chosen the right lender you will need to go to their website and choose the repayment term and the loan amount. Then you have to supply all the needed data and register the account but afterwards you just have to wait for the approval and the confirmation that the money has been transferred to your bank account.